Poster for a charity gig for the Royal National Lifeboat Institution. 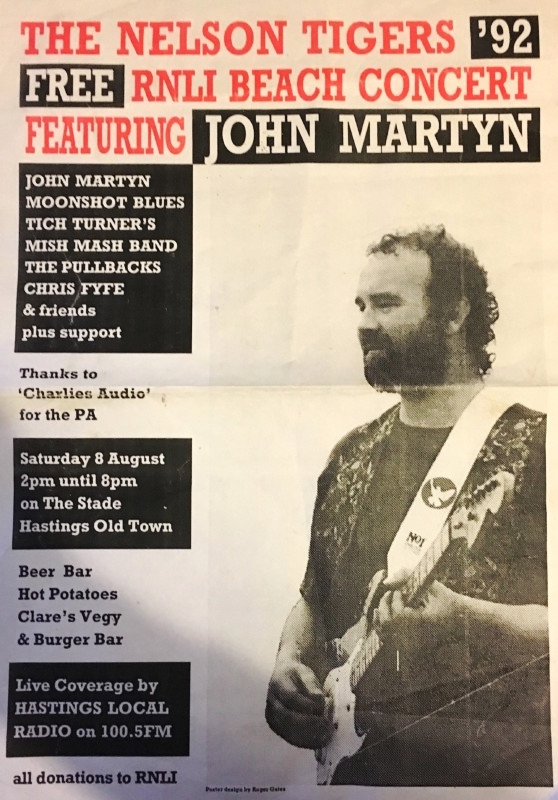 John had to skip this show because of a missed plane, but gave a concert one day later. There is some footage on YouTube of the occasion.